Wearable health monitors such as the Apple watch and the rise of genetic disease risk testing could swamp the NHS by sending the “worried well into hyperdrive”, doctors have suggested. The stark warning comes from a major review by the Royal College of Surgeons (RCS) looking at the impact new technology will have on the health service and warning its potential to improve diagnosis could also cause unnecessary alarm. Its release on Friday comes less than 24 hours after health and social care secretary Matt Hancock announced he would clear away NHS road blocks that are preventing start-ups offering new technology to patients. Doctors have already had to adapt since the advent of Google meant symptoms can be rapidly checked against an encyclopaedia of rare diseases online. But this could become a bigger issue when health trackers might flag symptoms and risks of disease yet to cause any problems, and new roles will be needed to help patients interpret these risks. 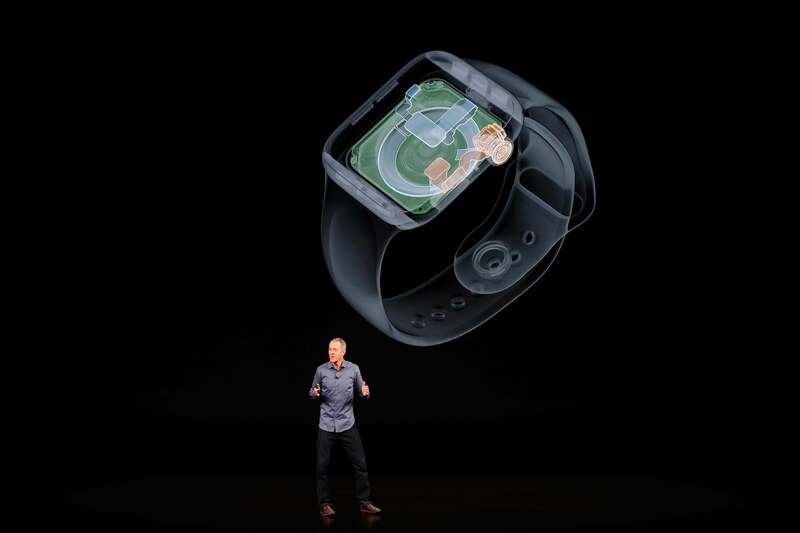 Almost pre-empting the concern, on Wednesday Apple announced its new watch, which has a built-in heart echocardiogram that uses electrical impulses to measure heart rhythm and can call emergency services if it detects a wearer falling and not moving. “The ‘worried well’ will be sent into hyperdrive,” said Richard Kerr, the consultant neurosurgeon who chaired the RCS Future of Surgery Commission’s report. “GP practices and A&Es will undoubtedly see more patients who are concerned about what this information means for them. The spread of cheap genetic testing that could flag patients at particular risk of certain diseases, as is already the case with the breast cancer gene “BRCA1”, is likely to have a particularly big impact on surgical capacity. “Advances in genetic testing could mean having to carry out more prophylactic or preventative surgery – we all recall the ‘Angelina Jolie effect’,” Mr Kerr added. The actor revealed in 2013 that she opted for a preventative double mastectomy after testing of the BRCA1 gene mutations showed she had an 87 per cent chance of developing breast cancer. This led to a doubling in referrals for the test, and as more risk marker genes are identified and technologies become cheaper, more people are likely to come forward with questions about what they can do to lower their risk. Surgeons will have a key role in explaining to patients the balance of risks from surgery with the potential for their disease to materialise later in life, but the NHS will need to greatly expand its “genetic counselling” services, Mr Kerr said. The runner-up image came from Matt MacGregor Sharp, a PhD student at the University of Southampton. The super-high resolution image shows a normal artery at the surface of a rat’s brain and was taken with a powerful scanning electron microscope. These ‘subarachnoid vessels’ supply blood to the brain and also act like a drain to remove toxic waste products. Matt Macgregor’s team are trying to show that failure to remove waste by these vessels is one of the underlying causes of vascular dementia. The researchers took the image using a technique called ‘freeze fracture’, where tissue or cell samples are frozen and then split apart to reveal the hidden layers within the sample so they can be studied in extreme detail. Sitting above the brown brain tissue, the artery appears blue, and its surrounding layer, the pia mater, is shown in purple. Winner: Endothelial cells line all blood vessels in the body, forming a barrier between the circulating blood and the vessel wall. They also help to protect blood vessels from damage and release important chemical messengers which help to control blood pressure. The winning researcher, Courtney Williams, is a Masters student and PhD candidate at Leeds University. Her lab are developing new ways to map the growth of new blood vessels within their surrounding landscape in 3D. Understanding the complex secrets of blood vessel formation could be harnessed to boost the regrowth of damaged blood vessels after a heart attack, and halt blood vessel growth when it’s counterproductive. This image from Abdullah Obaid Khan, a PhD student at the University of Birmingham, won the supporters’ favourite. What look like precious jewels are actually platelets forming within the bone marrow. Platelets are the smallest of our circulating blood cells with a hugely important role in preventing bleeding. However, they also play a role in the formation of clots, which can lead to heart attacks and strokes. Abdullah Obaid Khan and his team are studying rare bleeding disorders. “Medical professionals will also need to be vigilant to the risk of misdiagnosis and over treatment that this proliferation of personalised health information could bring,” he added. This follows Mr Hancock’s comments in a speech at the headquarters of private video GP appointment company Babylon where he set out his vision for increasing the adoption of new technology in the NHS. “We need to harness technology in the NHS. If we need to we will change the rules so we can harness new technology in a way that works for patients and practitioners,” he said in advance comments given to The Telegraph. In the same piece, the former culture secretary said “global innovators” such as Babylon were vital and he wanted to work with them, adding that everyone should be able to register with the company’s London-based NHS service. Currently the groups’ expansion to Birmingham has been blocked by NHS bosses concerned that it wouldn’t be able to guarantee these patients key services such as cancer screening if they register with a practice in another part of the country. There are also concerns from GP groups that the funding model is not set up to cope with healthier tech-savvy young people swapping to Babylon and leaving practices with older patients with more health needs.